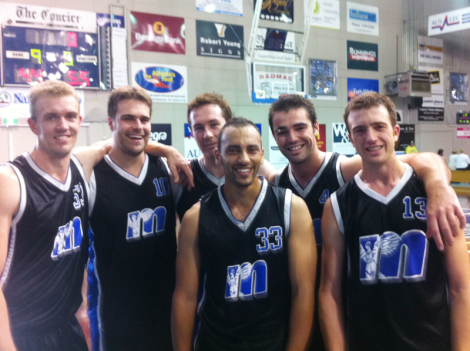 The MU domestic men were crowned A grade champions at Ballarat 2012 beating Keysborough's Big V team 55-44 in the final after knocking off Keilor's Big V team in the Semi Final. From left to right: Scott Cuffe, Peter Betros, James Fidler, Mark Farag, Dan Goldsworthy and smoke. The Melbourne Uni Big V team placed in the top 4 also, going down to Keysborough narrowly in the other Semi Final. A great tournament for all involved. Who could forget Silent Disco?